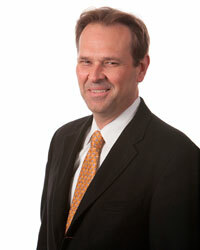 Jack Jania, vice president and general manager, Gemalto Inc. Mobile payments are fast becoming one of the most discussed, and least understood, trends across several industries. Mobile device manufacturers, retailers and banks, and even application developers are attempting to tame the mobile payment beast. But it will take more than a smart phone application or a retail-specific solution to solve the mobile payment query. In addition to standardizing solutions and user interface, the consumer must understand and feel secure using it – enter EMV. EMV is a secure technology for credit card/smart card transactions that is proven to reduce fraud. Developed to ensure security and global interoperability, EMV standards define the interaction at the physical, electrical, data and application levels between chip and PIN cards and payment terminals for financial transactions. The decision to migrate to EMV cards is largely due to credit card fraud and identity theft. Most countries have made, or are in the process, of moving to the EMV standard, and reflect reduced fraud loss once the switch has been made. Lower fraud loss numbers are due to EMV eliminating skimming and cloning as potential opportunities for fraud. Mobile payment solutions stand to benefit greatly from lessons learned with EMV deployment. While there has been significant talk about the desire of the consumer to utilize cell phones for contactless payment, there are essential steps that must not be overlooked in order to make this desire a reality. Mobile payment transactions must be convenient and secure – a task where magnetic stripe transactions fail. EMV corrects this initial misstep by using dynamic data and mobile payment solutions must also use dynamic data in order to be both convenient and secure. Dynamic data provides a unique identifier for each transaction. This level of security ensures fraudsters and cyber thieves cannot steal data used in a transaction and then repurpose it to commit identity theft. The global adoption that EMV has experienced did not happen overnight – EMV was first announced in 2002 and has just now reached a global saturation point as well as consumer understanding. Realistically, the same general timeline must be expected for mobile payments. The physical build out required for a secure transaction solution, like EMV, takes years to implement. Luckily for mobile payment, much of the work has been done in advance, as some contactless payment terminals already deployed can be used for mobile transactions as well. As digital transactions become the standard means of financial transactions, the need to protect the consumer and merchant from the possibility of fraud becomes more important. Credit card transactions were not initially built with security in mind, but rather with a focus on convenience. When digital transactions with mobile payments become the standard means of financial transactions, the consumer and merchant will need to be protected from fraud. Credit card transactions were not initially built with security in mind but EMV was developed to add the necessary security layer to the credit card transaction. With consumers looking for an even simpler payment option, using the mobile phone for payment is a logical step that will be possible thanks to the digital security offered by EMV.